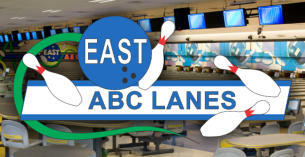 ABC Lanes have many great Fundraising ideas and events for lots of groups. Many local school groups have raised money to help their sports teams, music departments and much more. Bowling is a great fundraiser for churches, charities and other organizations too! Why Should You Host Your Fundraiser At ABC Lanes? · Bowling Is Fun · Families Can Do It Together · Almost Everyone Can Bowl · It’s Inside - Weather Is Never a Factor · We can accommodate many guests · Great Audio System To Make Announcements and use a MC or a DJ. · Groups Keep a Large Portion of ALL Money Raised. · Our staff will be there to help assist you and organize the event. 3 Types of Bowling Fundraisers 1. 50/50 Bowling Event - Your group sells tickets and keeps 50% of the money from the tickets. Great to raise $500 - $1000 FAST 2. Bowl-A-Thon - Bowlers collect pledges and the organization pays a small fee for the bowling. Groups have raised between $2,000 & $10,000 in one day with this format. 3. Corporate Lanes Sell - Your group sells individual lane packages for a predetermined price. Package usually includes bowling, shoe rental and some food. The organization pays for the bowling and the food and the remainder of the lane sell money is yours to keep. Groups can raise over $5,000 in one day and this is a great way to raise funds If your group has relationships with many area companies. Each Fundraiser has different elements and options that can be customized for your group. The different types of fundraiser also have a very different level of volunteers and time line, it is best to talk to us while planning your event to see what program will work best for your organization. ABC Lanes have helped area groups and organizations raise over $500,000! Here are just a few of them: · Big Brothers/Sisters · Junior Achievement · Beacon Foundation · Fraternities · Sororities · Plus...many more! Putting together a successful fundraiser doesn't have to be hard. Here are a few tips that will keep things running smoothly: · Get the word out: Make sure as many people as possible know about your fundraiser. Pass out flyers, hang posters, contact local television and radio stations, post the information on free sites like Craigslist, and send out an Evite to multiple guests. · Provide other ways for guests to donate money in addition to donating to your event. Consider holding a raffle, silent auction or tournament. Also, offer the option to give donations after the fundraiser is over by providing envelopes or an online link to a donation site. · Make sure your financial goal is clear. Post a sign that shows your progress toward your goal, such as a big thermometer or chart. Help guests understand the importance of your cause. Provide stories, pictures and anecdotes about the person, family or organization you are raising money for. · Encourage guests to interact with one another. Consider inspiring some friendly competition and building team spirit through fun activities like games and contests. · Keep it fun! Put together an event theme and decorate the facility or encourage guests to dress in costume. · Provide prizes and awards to guests for everything from best score to most gutter balls. You can give them traditional trophies or you can make them fun and silly - be creative! · Last, but not least, be sure to follow up with your donors and guests to thank them. ABC Lanes can help you with these details and more. Call Johnathan at 717- 902-9536 or fill out the form below and Johnathan will contact you. Have a great day!